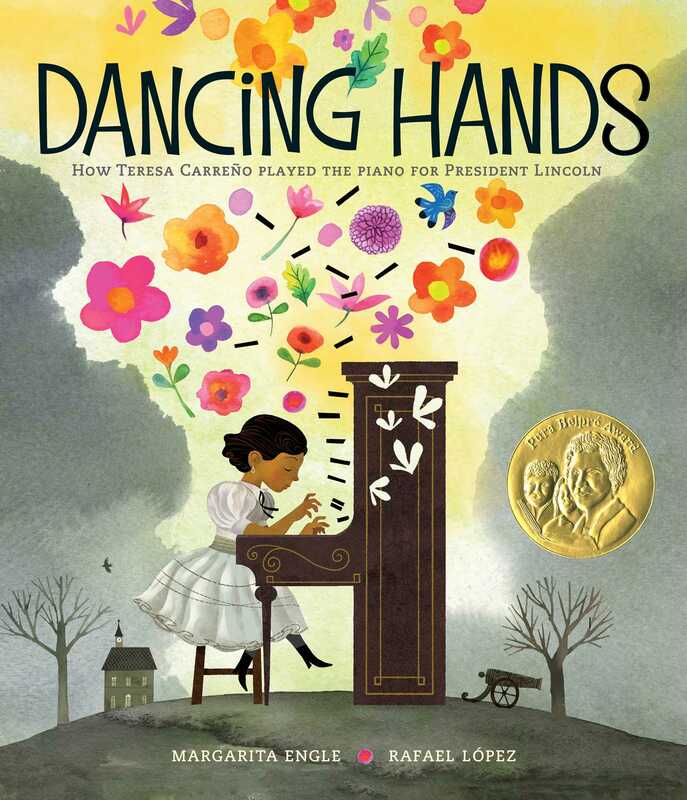 In soaring words and stunning illustrations, Margarita Engle and Rafael López tell the story of Teresa Carreño, a child prodigy who played piano for Abraham Lincoln. As a little girl, Teresa Carreño loved to let her hands dance across the beautiful keys of the piano. If she felt sad, music cheered her up, and when she was happy, the piano helped her share that joy. Soon she was writing her own songs and performing in grand cathedrals. Then a revolution in Venezuela forced her family to flee to the United States. Teresa felt lonely in this unfamiliar place, where few of the people she met spoke Spanish. Worst of all, there was fighting in her new home, too—the Civil War. Still, Teresa kept playing, and soon she grew famous as the talented Piano Girl who could play anything from a folk song to a sonata. So famous, in fact, that President Abraham Lincoln wanted her to play at the White House! Yet with the country torn apart by war, could Teresa’s music bring comfort to those who needed it most? Margarita Engle is the national Young People’s Poet Laureate, and the first Latino to receive that honor. 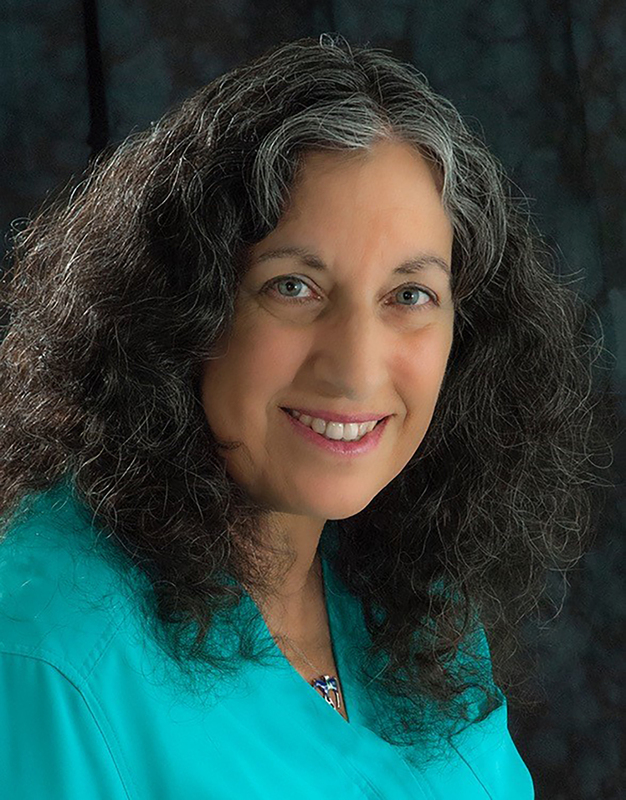 She is the Cuban-American author of many verse novels, including The Surrender Tree, a Newbery Honor winner, and The Lightning Dreamer, a PEN Literary Award for Young Adult Literature winner. Her verse memoir, Enchanted Air, received the Pura Belpré Award, a Walter Dean Myers Award Honor, and was a finalist for the YALSA Award for Excellence in Nonfiction, among others. Her picture book Drum Dream Girl received the Charlotte Zolotow Award. Margarita was born in Los Angeles, but developed a deep attachment to her mother’s homeland during childhood summers with relatives. She continues to visit Cuba as often as she can. Visit her at MargaritaEngle.com. Rafael López was born and raised in Mexico, a place that has always influenced the vivid colors and shapes in his artwork. He now creates community-based mural projects around the world and illustrates acclaimed children’s books including The Day You Begin, Bravo!, Drum Dream Girl, We’ve Got the Whole World in Our Hands, Book Fiesta!, and Dancing Hands. Rafael divides his time between Mexico and California. Visit him at RafaelLopez.com.